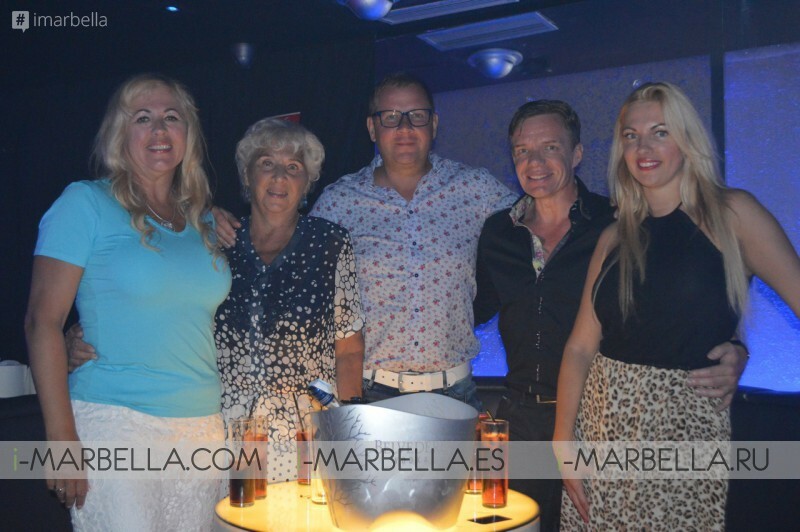 This summer, I have visited La Sala Puerto Banus on several ocassions, have been to La Sala by the Sea's opening party, have tried La Sala in the Sky, and have finally taken my 79-year-old grandma to Aqwa Mist Nightclub! I think I have listened to Peet Rothwell and his tribute to Michael Bublé in every version around 20 times over the years. I still like to attend whenever I can to listen to him. My family are his fans, asking me every year to see Peet. 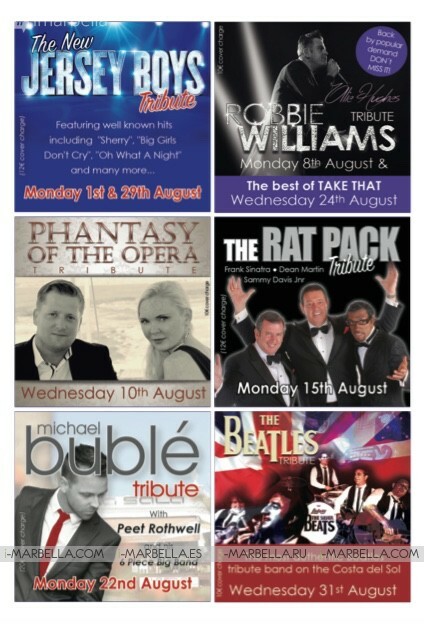 Eight tributes are coming up in August at #LaSalaBanus! La Sala Banus also boasts live music seven days a week, so you can check out the schedule on their website www.lasalabanus.com. They also have several offers for everyone. Feeling stressed on Mondays? ‪#‎SteakItEasy‬ at ‪#‎LaSalaBanus‬ every Monday and Tuesday with a free bottle of wine when ordering two Steaks or a Chateaubriand! ‪#‎LadiesWhoLunch‬ between 1-3.00 pm on weekdays will receive free unlimited cava with their lunch! For reservations, call (+34) 952 81 41 45 or email at reservations@lasalabanus.com! 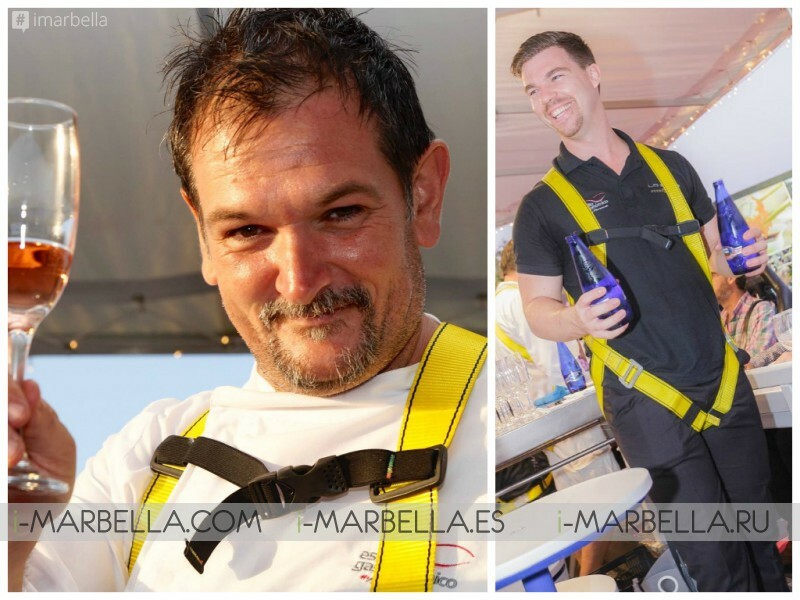 Once-in-a-lifetime experience this summer in Marbella is La Sala in the Sky!‪ ‪‪#‎LaSalaInTheSky‬ is an unique dining experience – dine 50m up in the air with beautiful views over ‪#‎Marbella‬! The food – show cooking at its best – was another spectacular highlight: a five-course dinner prepared by famed local chef Aitor Perurena in front of diners. Me and Saeko Hamada enjoyed the dinner so much, and I would go back anytime. The food was good, the views, beautiful, and the team, positively professional. Chef Aitor Perurena and the multifunctional Luke Jessop were excelent hosts. The dining experience lasts 70 minutes and introductory offers start at €99 + IVA. For reservations, call (+34) 617 568 390 or email at info@lasalainthesky.com! 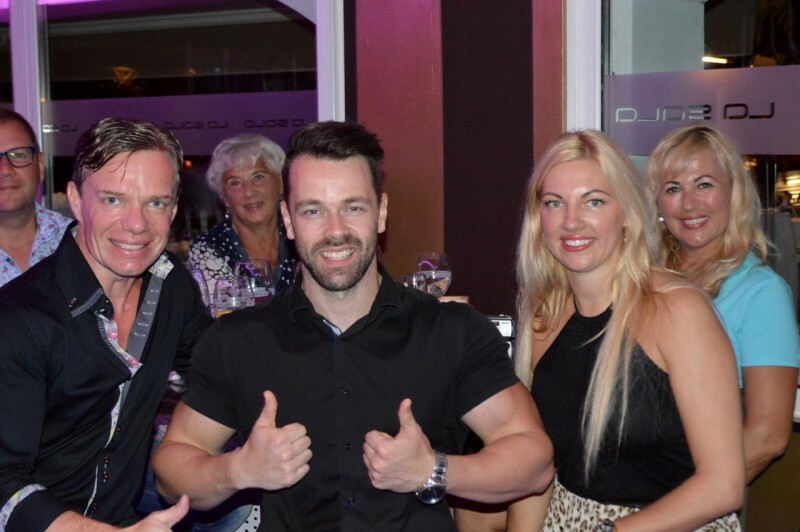 Thank you, Aqwa Mist Puerto Banus' team for inviting me with my family to your nightclub! This was an extraordinary visit as my 79-year-old grandmother came with us. She was happy! Having spent 2-3 hours at the nightclub, she still didn't want to go home. We were visiting on a Monday, there were a lot of young people and R'N'B music. The club itself has quality design and even boasts a jacuzzi in a VIP-room. Most popular days at Aqwa Mist are Thursdays, Fridays, and Sundays. Aqwa Mist's event schedule is available at www.aqwamistbanus.com. 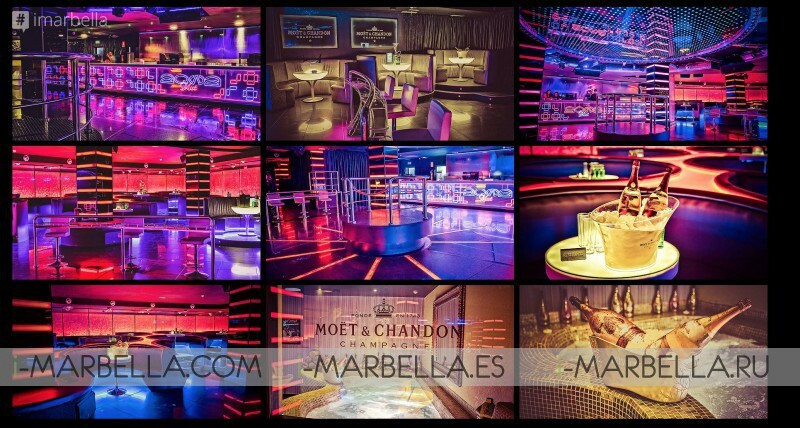 Last but not least, I have to mention White & Gold Party at La Sala by the Sea – the beginning of the summer in Marbella. This year, it was June 3, and it was the 9th White & Gold 2016 Party at La Sala by the Sea. Next year, it will be an anniversary, and I look forward to the event already! La Sala by the Sea's offers and more information can be found on their website.